There has been a lot happening in my studio lately! If you saw my last blog post or follow me on Instagram, you might have noticed that I’ve made a little announcement. My first book is on its way! 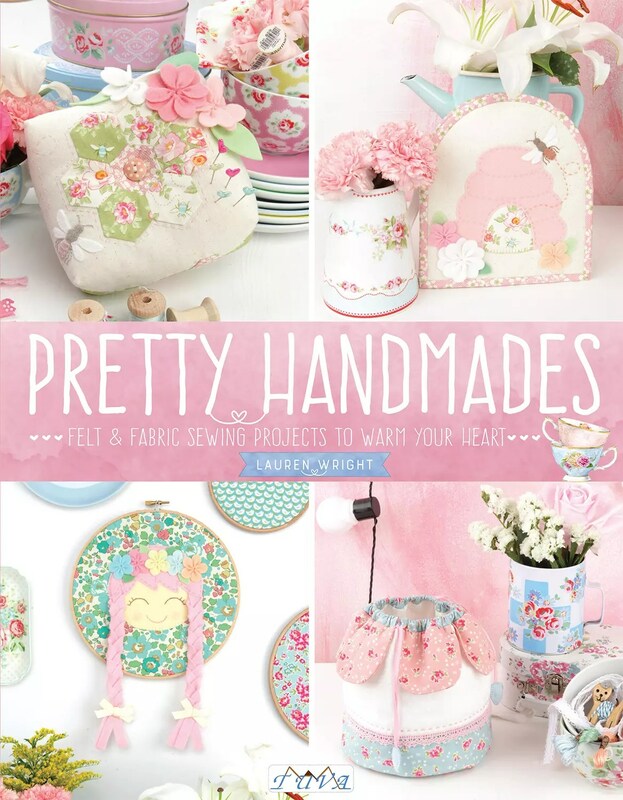 Pop over to Pretty Handmades: Felt and Fabric Sewing Projects to Warm Your Heart* and take a peek. I’m so thrilled to finally be able to share my news with you all. The book will be released later this year, with big thanks to the wonderful team at Tuva Publishing. Can you believe it? What an absolute thrill and dream come true. I’m still pinching myself! As you know, I’m all about sharing tricks and tips for helping beginners to get started on their creative journey. I want everyone to feel like they can make the beautiful things they find so inspiring online. So this book is filled with beautiful yet deceptively simple projects that will hopefully inspire and encourage you. Here’s a little preview of some of the projects in the book (though I can’t reveal too much yet). You know I have a love for wool felt, Liberty fabric, tiny florals and pretty trims. 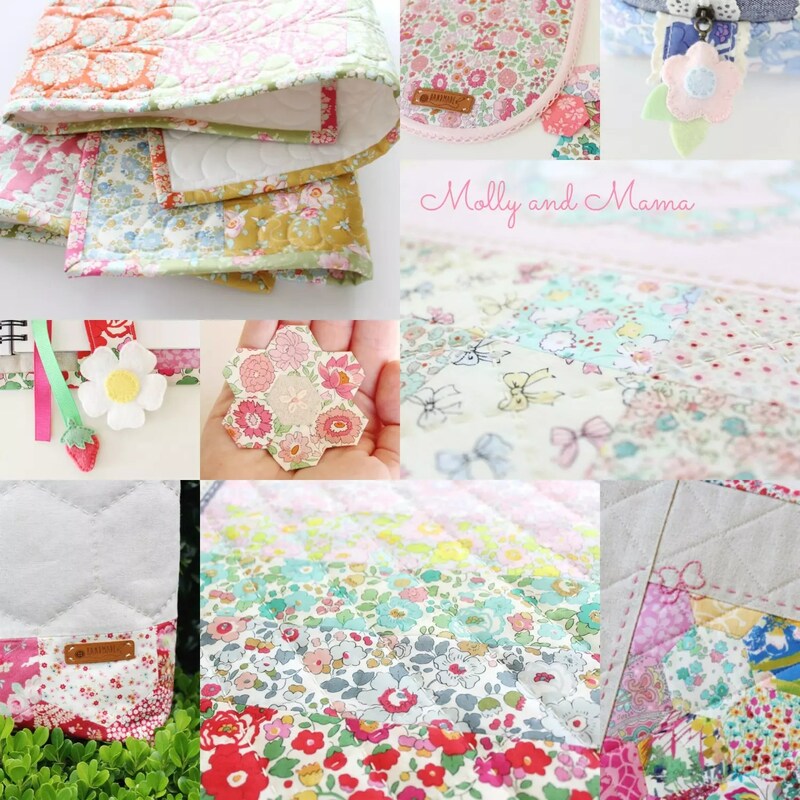 Pretty Handmades combines all of my favourite fabrics, notions, tools and techniques to bring you a collection of 20 pretty and practical projects. I can’t wait to tell you more about it and share some of the projects and makers who helped me on this journey. I couldn’t have done it without the love and support of some seriously wonderful friends! But more on that later. So very excited for you!!! There is no one more deserving. Congratulations!!!! That’s very exciting Lauren. Congratulations to you. I will be looking out for your book. Well done! I hope you managed to find it Kay. Thanks for your support! You know how it feels when you see something that just makes your heart happy? This is how I feel about EVERYTHING you make…and now your book!💕 I can just spend hours looking at your beautiful photos! Can’t wait for your book release! I love your tutorial. Congratulation!! I came across your beautiful site and just ordered your book !